This article is the second in a series on religious involvement on Northwestern’s campus. In the midst of studies showing declining levels of religiosity among college students, the series will spotlight different religious groups’ methods and thoughts on maintaining their faith. Michael Simon, the executive director of Northwestern Hillel, knows that Jewish students’ relationships to Israel can be complicated and are not easily defined. To that end, Hillel offers a variety of ways for students to travel to and connect with a country surrounded by an often polarizing discourse. College is a time when students begin exploring their identities, Simon said, and many begin to consider what it means to be both “Jewish and a human” in the 21st century. Among other travel opportunities, Hillel began offering NU Perspectives last year, a “leadership journey to Israel and the Palestinian Territories” to engage students with the Israeli-Palestinian conflict. Yet Israel’s polarizing nature presents a common dilemma for Jewish college students trying to define their relationship to the country. Weinberg sophomore Carol Silber, who spent a gap year in Israel before coming to Northwestern, said travel to Israel is a critical component for Jewish people to form their own opinions about the state. Silber said her gap year allowed her to experience day-to-day life in Israel in a way that prior family vacations had not and deepened her relationship to the country. 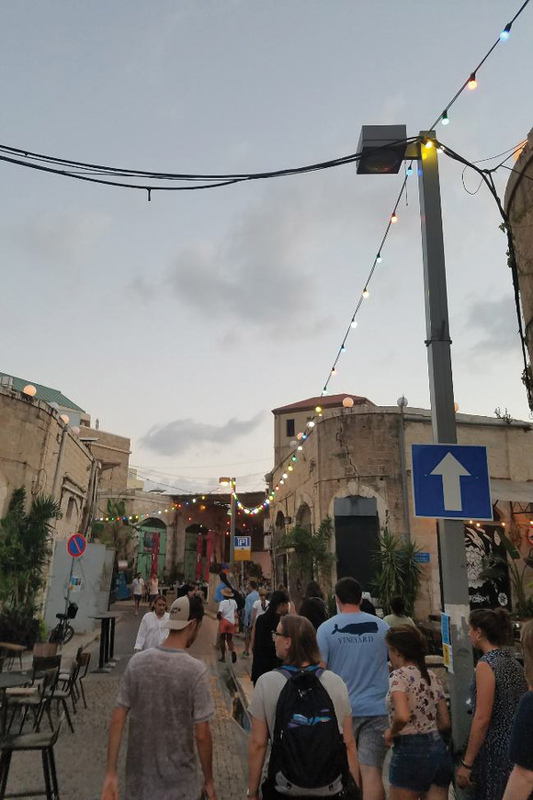 For Tamar Jacobsohn, a Weinberg sophomore, traveling with classmates to Israel through the NU Perspectives trip complicated her bond with a country she had previously lived in for three months in high school. Jacobsohn lived on a kibbutz — a communal farm — during her junior year of high school, and she said the experience made her fall in love with Israel. However, in hindsight, she said she was living in a bubble that presented a somewhat propagandized view of the country. Once she arrived at NU, she said she began realizing people had valid criticisms of Israel, including people in the Jewish community. During the trip, Jacobsohn heard from Israelis living on the Gaza border about the normalcy of running into bunkers during bombings. She also heard from a Palestinian businessman about the difficulties of living in Ramallah; he said he waited inordinate amounts of time to get into Jerusalem for meetings and had only recently acquired 3G cell service at home. Following the trip, Jacobsohn said she returned to campus with a lot less certainty about her relationship to Israel. “Doing the NU Perspectives trip and really seeing firsthand why there are those criticisms (of Israel), and having other people see firsthand why I support Israel and love Israel so much as a Jew –– it made me even more confused,” Jacobsohn said. Simon said he knows Israel and conflict often go hand-in-hand, and students cannot separate the two when forming a connection with Israel. Though Hillel has only sent one group so far, he said the NU Perspectives trip was successful in getting both Jewish and non-Jewish students to meaningfully engage with the Israeli-Palestinian conflict. Regardless of how they get there, Simon said he hopes Jewish students return to campus with a deepened understanding of the Israeli people and the realities of life in Israel –– both positive and negative. “I would hope that if they’ve gone to Israel on whatever kind of a program, that they would have begun to develop a relationship that’s meaningful for them and that they would want to continue that through and beyond their time at Northwestern,” he said. However, continuing the conversation on campus and beyond can be difficult, especially in liberal spaces, Jacobsohn said. Although she works to bring awareness to Israel’s positive work while still engaging in critical dialogue on campus, she said she is frustrated because she feels criticized for her love of Israel. Despite the tension, Jacobsohn feels it is more important than ever to form a connection with Israel and educate others about it. Though she considers herself a progressive liberal, she finds her stance on Israel to fit in tandem with those beliefs and doesn’t believe she has to sacrifice one belief for the other.